Simpson, William Kelly. <I>The Mastabas of Kawab, Khafkhufu I and II</I>. Giza Mastabas 3. Boston: Museum of Fine Arts, 1978. Remarks Son ([sA=f] his son) of Raramu (owner of G 2099). Limestone standing statue (39-1-19 = MFA 39.831 deaccessioned = Richmond 49.21) inscribed for Kahersetef (back pillar inscribed for Kednes), identified as [wab nswt Hm-nTr xwfw xntj-S] royal wab-priest, priest of Khufu, palace attendant; also depicted on inscribed seat of limestone seated statue of Raramu (39-1-17 = Toledo 49.5), identified as [wab nswt smr xtrw(?) Hm-nTr xwfw xntj-S] royal wab-priest, companion of the kheteru(? 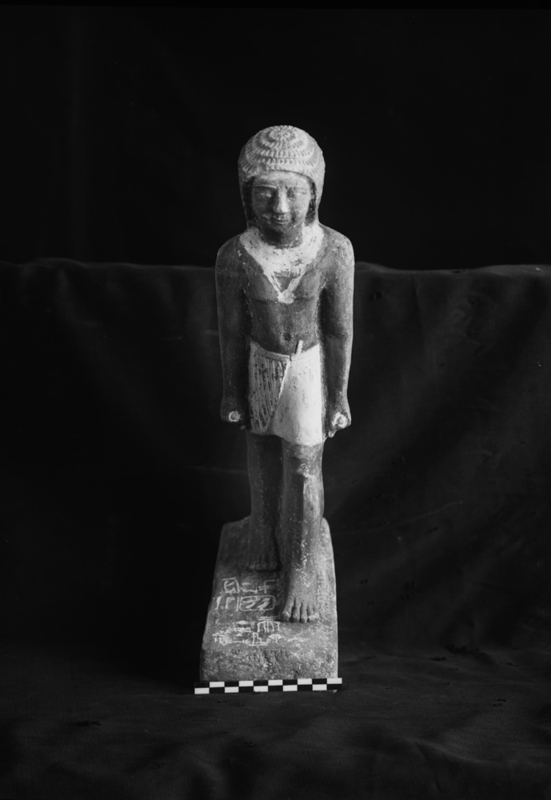 ), priest of Khufu, palace attendant; both statues found in situ in G 2099 serdab.